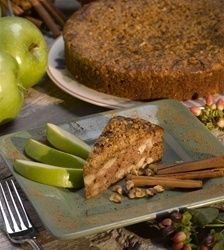 Spice is nice in this deliciously moist cake featuring diced apples, English walnuts, cinnamon and nutmeg. 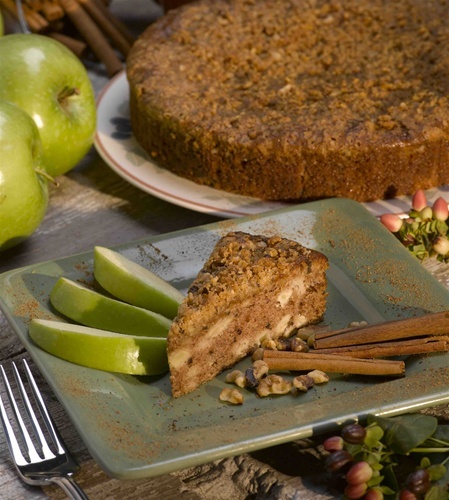 Perfect as a dessert or breakfast cake. It's even better warmed and served with ice cream or whipped cream.